Moving to New York City – what to expect? 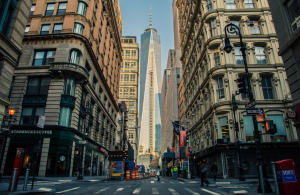 Moving to New York City can be an exciting, yet overwhelming experience that should be meticulously planned in order to prevent possible inconveniences that most Manhattan newcomers will encounter when setting foot in the Big Apple. 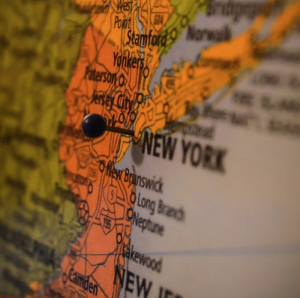 New York City is composed of five boroughs – Manhattan, Bronx, Queens, Staten Island and Brooklyn all of which are very well connected by different means of transportation. Manhattan is, however, considered to be the economic, administrative, historic and cultural center of not only NYC, but the entire USA, therefore one of the most desirable places for rebooting one’s life. Having made a decision to relocate to the City, here bellow you can find some helpful tips about different aspects of the moving process and general information regarding the NYC lifestyle. New York City is one of the greatest and most dynamic cities in the world that attracts thousands of future New Yorkers looking to pursue their dreams in an environment that offers plenty opportunities. The reputation of being a tough place to live in is very well deserved and the romanticized ideas that most of us might have had about the city should be tuned down. That being said, the pros outweigh the cons in the opinion of many residents. Manhattan is the most densely populated borough for a reason. It is widely known for its cultural content, ethnic diversity, business opportunities, architectural and historical landmarks and a fabulous lifestyle in general which makes it appealing for many people who want to move to NYC and have a fresh start in Manhattan. The city offers a vast variety of cultural venues, museums, galleries, theaters, opera houses and iconic buildings that will satisfy the most refined of tastes. Along with the high culture, you can find a great variety of restaurants, bars, clubs and free events that you can attend, providing you with endless things to do and entertainment options that will keep you amused for life. Even though it’s famous for being the concrete jungle, one cannot but be astounded by the green beauty that is Central Park with its striking views. If you’re looking to boost your career, there is no better place to put your abilities to test and prove the saying ’if you can make it here, you can make it anywhere’ to be true. You will find plenty of job opportunities within different business sectors once you move to New York City. Contrary to popular belief, Manhattan is a pretty safe place to live in. 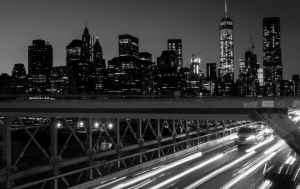 The days when the crime was widespread are mostly over and based on recent statistics, New York City can proud itself for having the lowest crime rate among the largest cities in the US. Manhattan can be loud, busy and a tad confusing for newcomers that find themselves for the first time in such a big and vibrant city. However, its perfectly planned grid and numbering system leaves no room for disorientation and enables an easy navigation through the mostly right-angled streets without much worrying about getting lost. Many of the firstime Manhattan newbies embarking on the adventure of relocating to a crowded city that never sleeps may experience a cultural clash, especially if coming from a peaceful small town background. The rush, the noise of honking horns and swarms of tourists initially may come as a shock to you, but soon enough you will start to appreciate the city for all that it has to offer and enjoy the advantages of the legendary Manhattan lifestyle. Moving to Manhattan can be a challenging task. In order to make a smooth transition you might want to adjust your expectations and take the following tips. – Consider public transportation as the best commuting option. 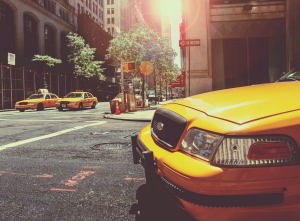 Driving a car after you move to New York City is far from being a convenient mode of transport that will save your time and make your life easier. The traffic in the rush hour alone will make you forget about where you were heading to in the first place, not to mention the lack of parking space and the extremely high cost of it. Luckily, the subway will take you from point A to point B swiftly and easily. Other commuting options include buses, trains and ferries. However if you cannot do without the comfort provided by a car, you can get a cab or open an Uber account that enables you to request a car from your phone and pay digitally. – Embrace the hectic pace. New York residents are widely known for being very busy and always in a hurry. Since it doesn’t make much sense using a car, you will be doing lots of walking that involves bumping into people, which can be considered a part of being a New Yorker. Walking around the city has its own health benefits and it will help you get to know your surroundings after you relocate to the Big Apple. – Prepare yourself to be sticker shocked. 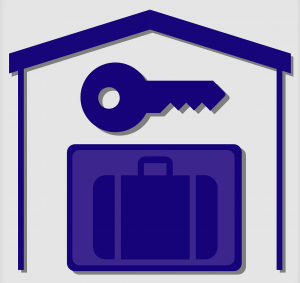 Having chosen to relocate to Manhattan you should be ready to double your budget and expect unanticipated expenses. You will most likely be living in a tiny apartment with no washing machine or closet space, but with a significantly high rent. Fortunately, you won’t be spending much time indoors since the city life has much to offer. Leading a Manhattan lifestyle doesn’t come without some financial sacrifices, but the cultural variety and the most diverse content makes it all worth it. Have an open mind and don’t fall for the stereotype about New Yorkers being closed off and unfriendly. 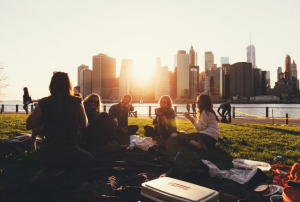 Manhattan is famous for being the melting pot of different cultures and ethnic groups and its residents will welcome you with open arms and offer a helping hand should you need it. Whether you are moving to New York for the first time or you are more of an experienced apartment hunter, finding a place to call home in NYC is a demanding and nerve-racking task that can be often described as an ordeal. In order to make the quest less overwhelming, make sure to start the preparations on time and inform yourself whether the chosen neighborhood fits your standards or not, sparing yourself some additional stress in the process. – People moving to Manhattan without previous experience expect to find a great and affordable apartment on a good location that is big enough to accommodate their needs. But, sooner rather than later they will get hit by the reality of the housing options in NYC. Bear in mind that NYC is the city with some of the priciest real estate in the world occupying the most coveted locations. The first thing you should establish is your budget so that your real estate agent can concentrate on searching for apartments that you can actually afford. Do not be surprised if the place that’s within your budget is a small studio barely spacious enough to fit one person. If you want to cut down the expenses, you might want to consider sharing the apartment with a roommate which is an option that many students turn to. – Determine what type of apartment you are looking for, what are your preferences in regards to location, nearest transportation options, commuting time, proximity of schools, hospitals or working place and share your requirements with a broker that is willing to put in the effort in meeting your standards and help you with the paperwork in order to sign a lease. Bear in mind that there is a good chance that your broker won’t be as dedicated to your issue as expected and might move on to the next client should you not rent any apartments you were shown. Also be aware that sometimes an offer for a great apartment with an acceptable price that sounds too good to be true, might indicate that something is not quite right. – On the other hand, hiring a capable broker provides you with the advantage of him knowing the owners and presenting you with a friendly landlord. Renters in Manhattan expect their tenants to be able to pay their rent regularly, therefore they have strict requirements. The tenant’s yearly salary should be 40 times the monthly rent which is why sometimes a guarantor is needed for co-signing the lease. – If you receive an appealing offer it would be best for you to sign the lease immediately and start preparing the move to your NYC apartment. By that time, you should decide whether you’ll take that task upon yourself or hire assistance from a NYC moving company that you’ve previously carefully researched. If you are moving to New York for the first time, it is advisable to seek professional help from Manhattan movers in order to make your relocating as smooth as possible. Having chosen the neighborhood that accommodates all your interests and having considered the relevant factors, it is time to decide whether it is best for you to take care of the moving process yourself or hire a moving company. In order to make the best decision you should weigh your options keeping in mind the costs, speed and efficiency. If your moving involves relocating to a different city it is advisable to seek help from a reliable moving company that can offer affordable NYC moving services and guarantee a secure transport of your possessions. – Having determined what is exactly what you expect from a move, start researching for the top rated moving companies and ask for advice and suggestions from friends or acquaintances. It is recommended to always consider the customers’ moving reviews and ratings online, as well as to check the moving company’s website that can reveal much about the mover’s experience, qualification and professionalism. – Before settling for a particular company, make sure to contact the mover and request information about the final price that will be calculated based on your specific case. It is of great importance to get an accurate moving estimate. – During this decision making process be aware of the existence of fraudulent moving companies that may provide you with significantly lower moving estimates in comparison to other companies. Be extra careful not to fall for the appealing inexpensive offer that could be a sign of a moving scam. The moving process can be a very stressful and tiresome experience that requires careful planning and efficient time managing. Whether you are relocating house for the first time or you have already been down that road, it is always useful to have some essential moving tips that can take the pressure away and help you make the right decisions when it comes to choosing the best movers and packing your belongings in an organized manner. – Having decided after careful consideration of the relevant factors which is the city you will be calling home and whether you want to take care of the moving process yourself or hire a NYC moving company, it is time to start packing your household. But before you start, make sure you’ve established the budget that you’ll stick with and set up a schedule that will keep you focused on the project. – Attention to detail is key in organizing a successful move which involves quite some planning ahead. In order to help you achieve your goals without feeling overwhelmed it is best for you to start with making a packing checklist. Write down everything you will need for packing and ensure that you get the basic supplies for initiating your task. Checking one task at a time off the list will keep you motivated and will provide you with a sense of control. – Firstly, you will need to get the right packing materials in order to secure a proper handling of your household items. Packing supplies can be purchased at moving retailers or office supply shops, but you can find most variety and get better deals by browsing online and comparing prices. Surfing the internet will save you some shopping time and will provide you with a larger selection of specialty moving articles such as strong specialty moving boxes, frame protectors for mirrors, file boxes etc. Don’t forget to buy packing accessories like packing paper, box cutters, labels, tapes, bubble wrap, etc. – If you are on a tight budget you can cut down the moving expenses by getting the moving boxes for free. Used boxes can be collected from grocery or liquor stores, but bear in mind that they won’t be as strong as the newly purchased ones. Make sure that the used boxes aren’t damaged so that you can safely pack your things. Another time and money saving option would be renting the moving boxes which will spear you the trouble of disposing them after unpacking. – Before you start filling in the boxes, you need to consider the amount of things you will be carrying with you. The moving will provide you with the opportunity of getting rid of the clutter that might have been accumulating for years and making a fresh start. While sorting your stuff, keep in mind that your options will be significantly limited by the space available in the Manhattan apartments, so you better choose wisely which items will be moving with you. – Once you’ve sorted the things you will leave behind, you can organize a garage sale that will get you some extra money, donate it to charity or just put it into storage. When choosing affordable storage you should take into account the size of the unit because the increase of your rent will depend on it. Make sure to pick the correct size and to utilize the storage space properly. The location of the storage unit will affect the price of it significantly, so you might want to opt for a less centric city area. If you are mindful of your budget, try to avoid rate increases and additional features that you don’t need. If you are renting storage space in Manhattan, you should know that the rent varies depending on the time of year; the prices go up during summertime when students leave town. In order to get a less expensive option you will need to commit for a longer period of time. – After the initial preparations have been done, you can start packing by putting away the articles that you need the least and store them in a spare room. 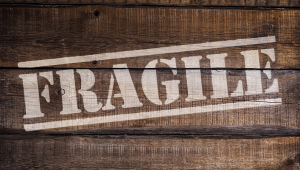 Make sure to use the packing space efficiently and to safely pack the fragile items by wrapping them with towels or clothes and bubble wrap. 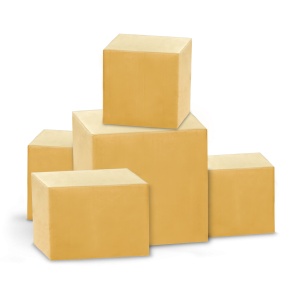 Make an inventory of the packed content, number the corresponding boxes and put labels on boxes that will indicate the movers on how to adequately handle them. – The last box you should pack before moving and the first one to unpack when you arrive is an essentials box filled with items you’ll need on your first day at a new home which includes basic clothes, toiletries, all-purpose cleaner, some dishes, documents and everything you can think it will come in handy. Having checked and completed all the necessary packing steps, you can now relax and wait for the movers to take over the relocating process.